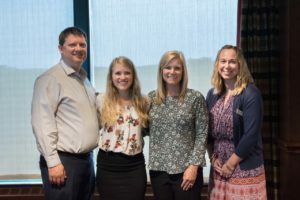 The Junior League of Racine is pleased to announce that we are now accepting applications for our annual scholarship program for 2019. We will award a $1000 scholarship in the spring of 2019 to one female that lives in Racine County and attends a Racine County high school, who has demonstrated a commitment to volunteering. Scholarship applications are judged by our community partners on voluntarism in the community and will not be based on financial need. Applicants must plan to attend a four-year accredited college or university and have a cumulative grade point average of 2.5 or better. Scholarship applications are due March 15, 2019. Please contact our Community Committee with any questions at ci@jlracine.org. 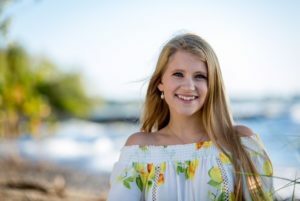 The Junior League of Racine is pleased to announce Anna Greulich, a Park High School graduate, as the winner of our Volunteerism in the Racine Community scholarship for her commitment to a wide variety of organizations throughout Racine County. Anna has served as an officer on Park’s National Honor Society and was Head Editor of the yearbook this past year. 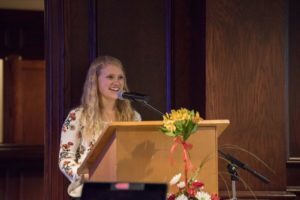 In addition, she volunteered at many school and community events, and has received several honors throughout high school, including a Racine County Scholar Athlete Award. She will attend the University of Wisconsin majoring in Environmental Science. 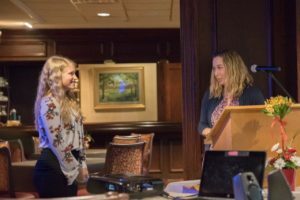 Each year, the Junior League of Racine awards a $1000 scholarship in the spring to one female that lives in Racine County and attends a Racine County high school, who has demonstrated a commitment to volunteering. Scholarship applications are judged by our community partners on voluntarism in the community and will not be based on financial need. Applicants must plan to attend a four-year accredited college or university and have a cumulative grade point average of 2.5 or better.